Yes, it’s possible to make money blogging, really good money. If you’re like me at all (and interested in how blogs make money and how much they make), then I hope that you find this post inspiring, intriguing, or motivating on some level – as I have putting it together. Rather than guessing at revenues, I only wanted to share blogs and websites where the income has been publicly stated (so there’s no ambiguity or guesswork involved) and round up several different types of sites to give a broad overview of what is possible. Regina’s blog shares insight, tips, and strategies for branding and making money online (primarily through online content and courses). 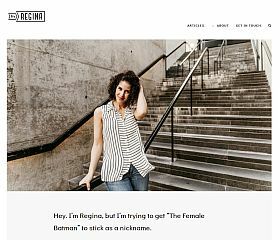 Regina’s earnings primarily come from her published courses, ebooks, and classes – with a trickle of earnings coming in from various affiliate links throughout her site. SEO and affiliate marketer sharing tips and insight. 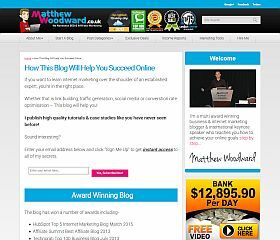 Matthew Woodward shares tips, articles, strategies and insight into SEO and affiliate marketing with his blog. With a wide range of sources for his affiliate earnings, he also makes roughly half of his income from outside sources (other than his blog). Affiliate links scattered throughout the reviews and tutorials on his blog. Technology and Blogging Tips Blog. 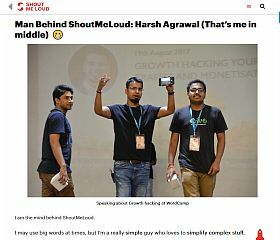 Harsh Argawal relentlessly posts content to his wildly popular ShoutMeLoud blog, proving that sheer volume can earn you a great living. Argawal’s income comes almost exclusively from affiliate marketing, with a handful of it coming from his own products and direct ad sales. How to Blog and Creative Ideas. Abby shares everything from home decor to creative ideas. 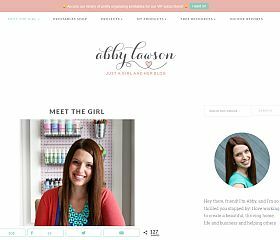 Nearly all of Abby’s income comes from her eBooks and affiliate links teaching others how to blog. 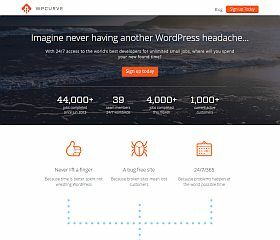 Offers WordPress support and small fixes for a flat monthly rate. While more of a product than a blog, the team utilized content marketing to grow to their impressive revenue – showing what’s possible in just a short amount of time with a lot of hard work and effort. Customers subscribe to a monthly service for a flat rate. 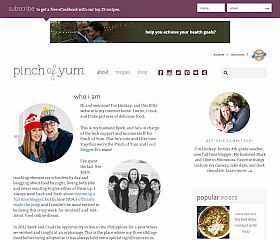 A husband and wife run this popular food blog. You can follow as their site grows from $21.97 in September of 2011 to $95,197.20 in November of 2016 – an astonishing growth story in just a few years’ time. Their blog income comes from a variety of sources from affiliate offers and banner ads to their own products like their food and photography ebook. Pat Flynn shares passive income generation strategies on his blog and podcast. 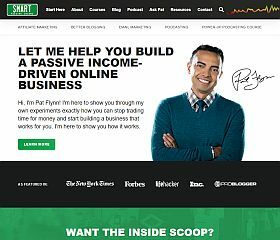 Pat’s main income generator is the site itself, where he makes money through affiliate offers (most notably Bluehost), courses, and his side projects which include iPhone apps, books, and niche sites. 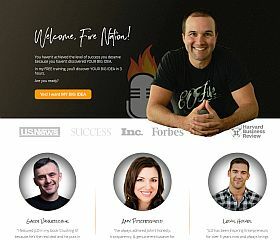 John Lee Dumas hosts a daily podcast while promoting his courses and webinars on how to podcast. The majority of John Lee Dumas’ revenue is derived from his blog, podcast, and Podcaster’s Paradise course. It was probably John Chow who first started the trend of transparency – by sharing his monthly blog income reports. He was certainly the one I remember that sparked my intrigue and showed people that making money with a blog was a real possibility. One of the allures of using the web to create income is that it’s not just possible to make some extra spending cash, but there are many people who are making really, really good money. Combine the ease of starting and a nearly limitless ceiling for revenue (with very minimal overhead costs) – and there are few things that are as easily accessible that allow you to significantly increase your income. Breaking it down, the sites on this list generate anywhere from a few hundred dollars per day to thousands and collectively generate about millions of dollars in revenue and profit each month – quite impressive when you consider the amount of time invested in each and relatively minimal overhead in general. Whether it’s a blog, website, or app – people are generating income in many different ways. Some use content and their blog for revenue while others utilize a product-based approach where they sell items on their site, each method with its own set of advantages and disadvantages.